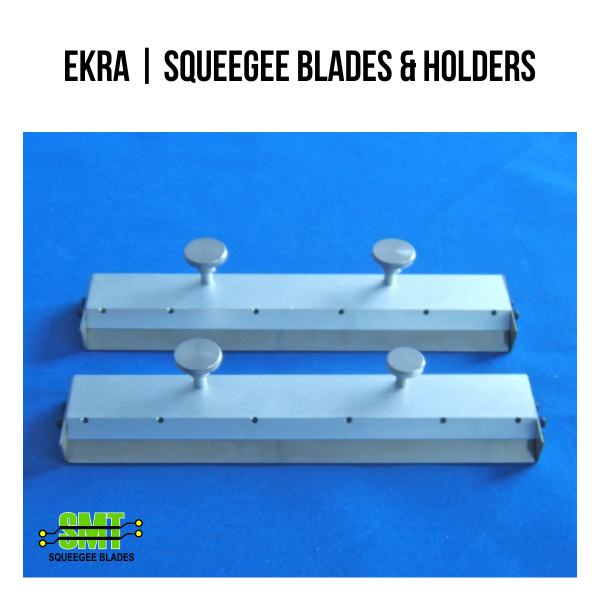 EKRA squeegee blades are specially designed to fit the EKRA series of stencil printers. 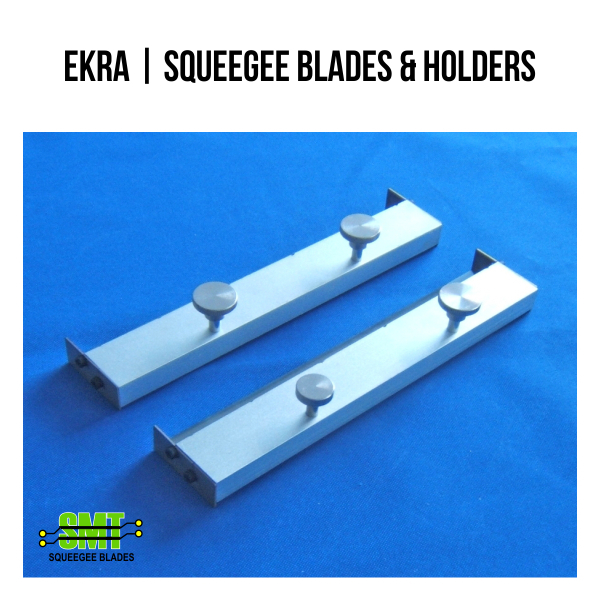 The squeegee holders match the original equipment manufacturers specifications and are available in the standard lengths offered by the OEM, and also are available in custom lengths to suit the individual customer’s needs. Each squeegee holder is made from precision machined aluminum, and come with the mounting knobs. Blades comes in various sizes from 200mm to 450mm. Sold in sets of 2 and comes with the blades. Only need the blades? 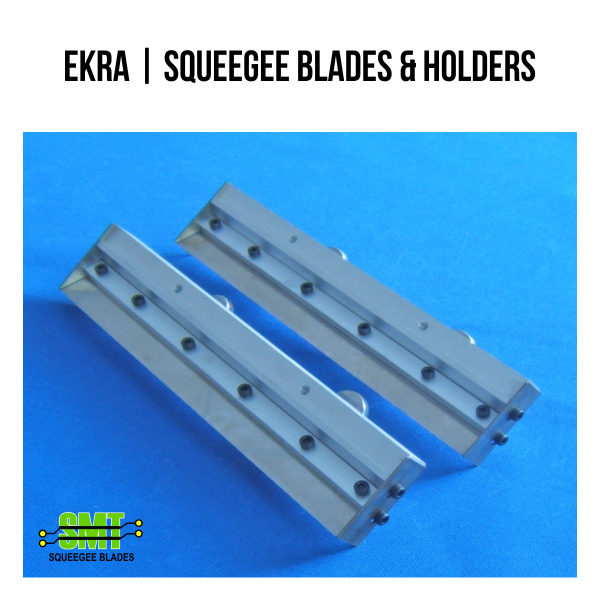 Contact us with your size, we sell all squeegee blades as a set or individually.